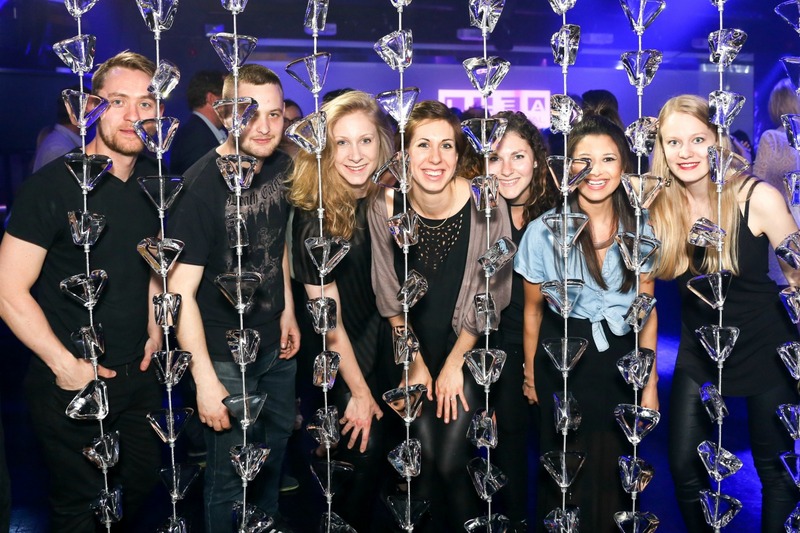 ILEA wanted to celebrate the start of their Accelerate 2016 conference with an evening of entertainment, food, drink and the inaugural Creative Disruptors Awards for all the Founders, CEOs, Presidents, Partners and Directors of the biggest names in the UK events world. 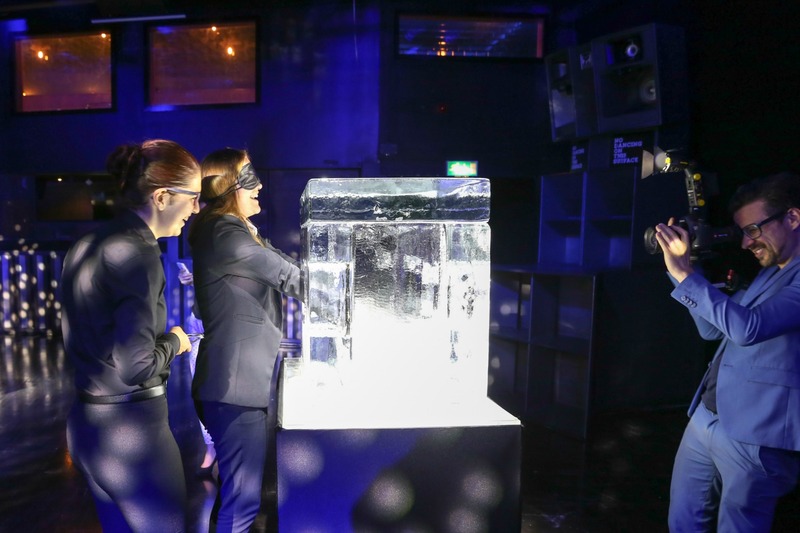 Icebox was contracted to take people on a unique creative sensory experience, using all human senses including touch, to add to the flavour of the exciting launch night. 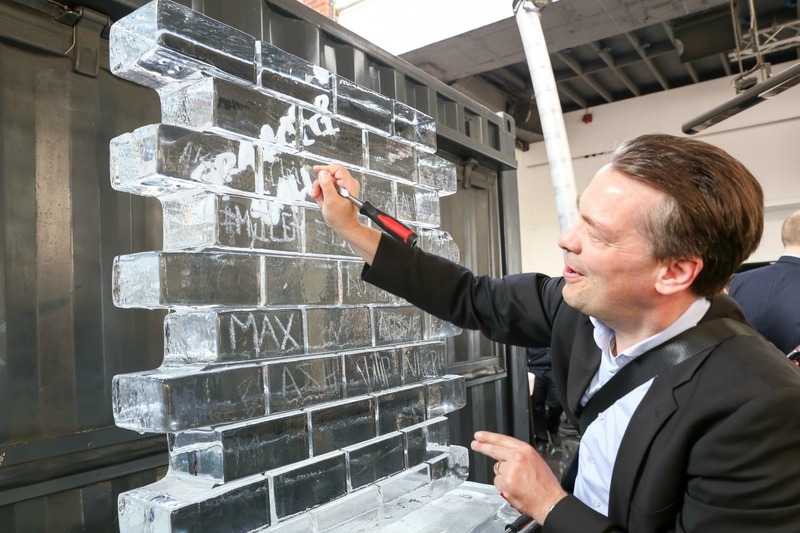 Icebox took the opportunity to push the boundaries and re-educate event professionals about ice. 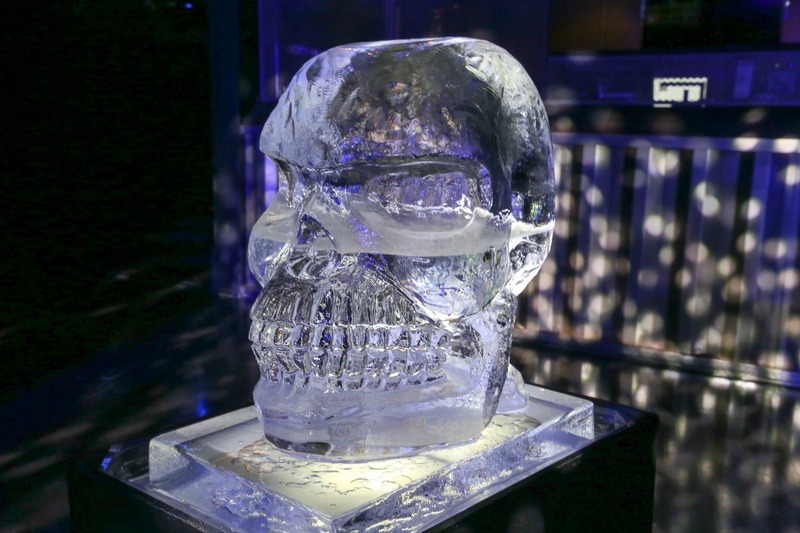 We wanted our creative and innovative designs to show that there really are no limits to what we can do and that ice really does add the final WOW factor to an event …. 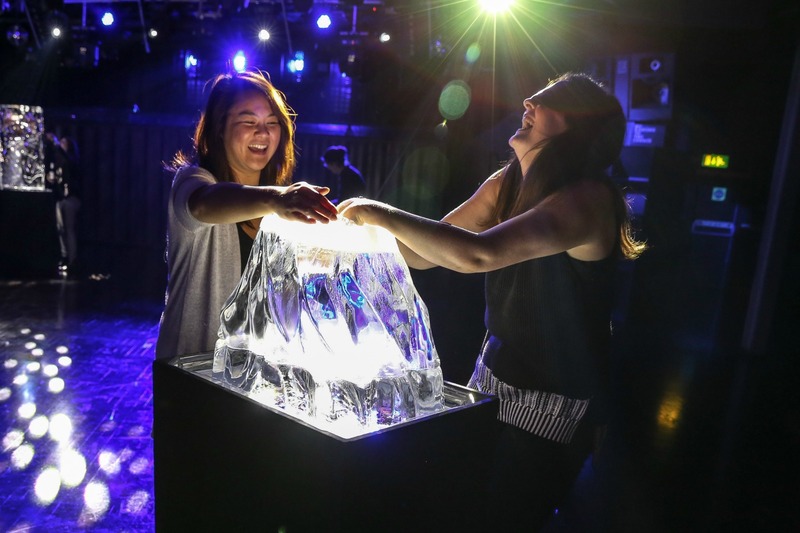 think about it, did you ever believe it was really possible to have a curtain made of ice?! Go nuts was our brief and that is certainly what we did! 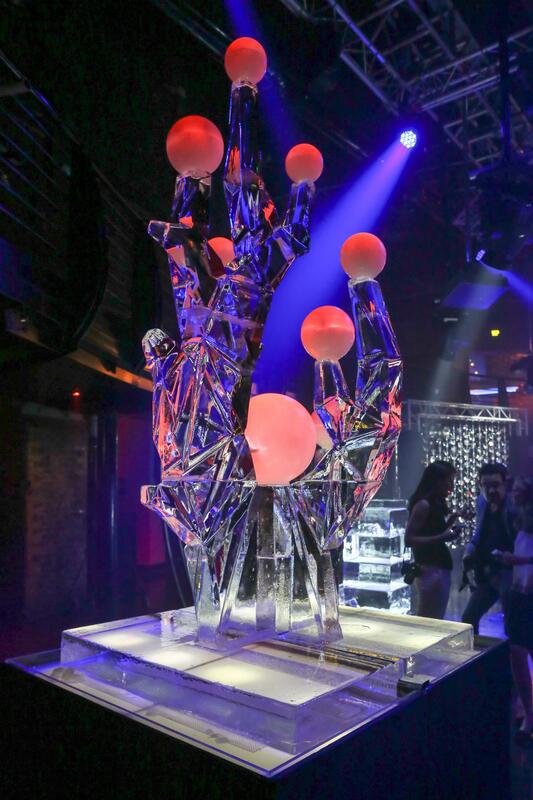 With no holds barred, we suspended a twinkling 2.5 metre ice curtain from the balcony above. Directly in front of the curtain stood two ice poseur tables with surprise features trapped within. Either side of the main stage, we displayed stunning Cala lilies, frozen in time within blocks of ice. 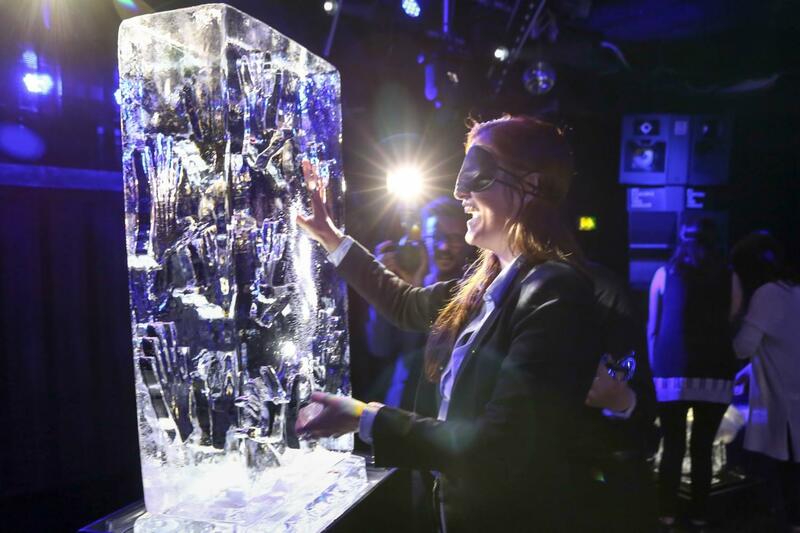 Stripped of their sight, guests were then led into the Dolby Room for an ‘iceperience’ of the senses. 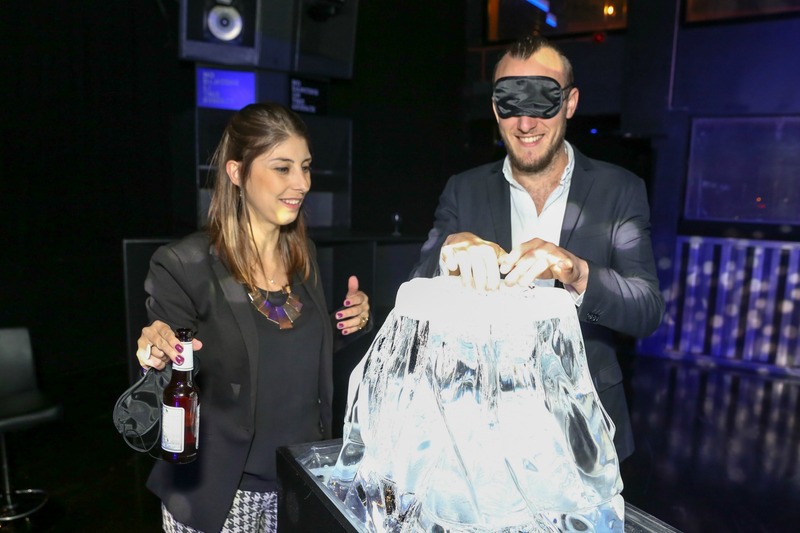 Each of the five stations challenged the blind folded participant, forcing them to rely only on their touch, taste and heading to make sense of the environment around them. 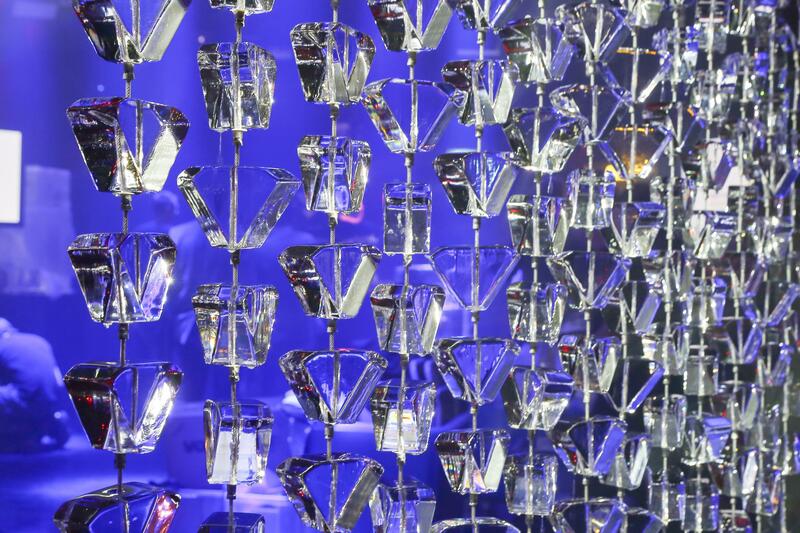 “I just wanted to say how amazed I was at the results from your creative installations. 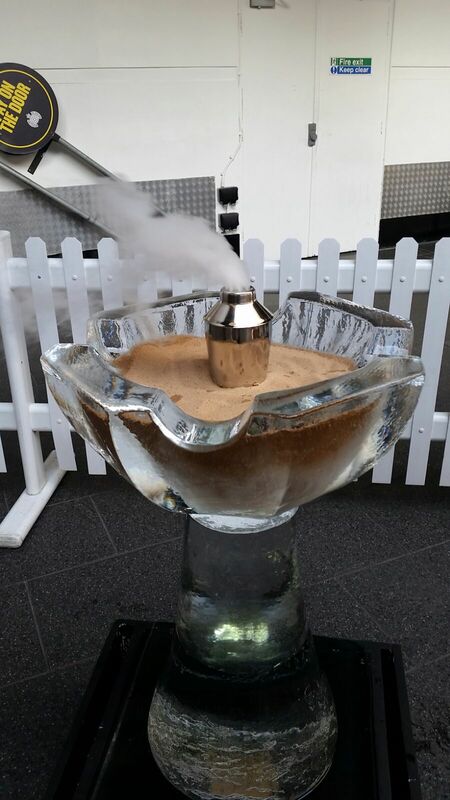 They hit the brief perfectly and guests clearly loved getting involved with them”.